Contrary to the Wizarding World of Harry Potter, there is no “class” or “spell” that Muggles can learn to charm their way into different physical forms. But able-bodied humans are capable of extraordinary things. Most drastic physical transformations are a gradual manifestation of many small changes. They’re representative of so much more than a side by side picture. Transformation Tuesday embodies the strength, resilience, and improvements in the overall wellbeing of anybody who had the courage to share about their progress. It’s been nearly one year since mikaylaeddie joined the PumpUp community. On Transformation Tuesday, she shared her first-ever full body comparison photo. “My journey is 2 years in the making and I’m proud of how far I’ve come,” she shared. “Don’t be afraid to lift heavy. Since I started weightlifting, I couldn’t be happier with the way my body has shaped up.” With the help of PumpUp, Mikayla disavowed the stigma against weightlifting and embraced strength training wholeheartedly. 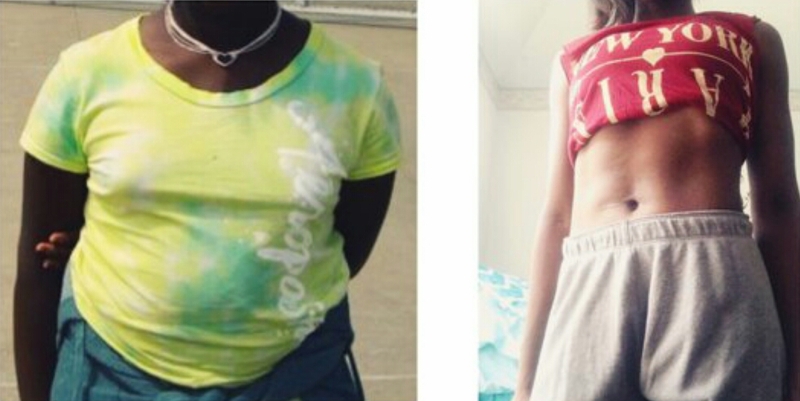 After receiving overwhelming help and support from PumpUp’s fitness community, little_birdy was able to completely transform her body in mere months. “I couldn’t have made it this far without PumpUp and my PumpUp family,” she nodded emphatically. She achieved her progress with patience, persistence, and perspiration. “It took me about 2 months to see results and another 5 to get to where I am today.” Tons of behind-the-scenes work went into little_birdy’s transformation. “I work out for about 1.5 hours a day and eat 3-5 healthy meals every day." Keep them pumped and share about your amazing transformations on #TransformationTuesday with the PumpUp community.